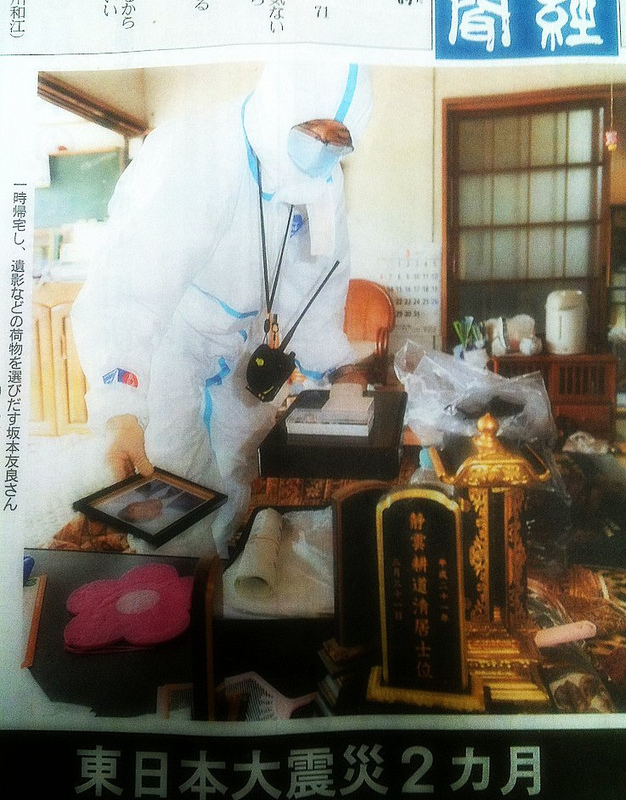 Photo I took of a newspaper I found showing a man returning home to retrieve pictures and personal items from his home in Fukushima. He is dressed in a radiation suit and is only allowed a few hours in the quarantined zone of 30km. It is very clear that something is wrong in Eastern Japan. There has been a lot of suspicion up till now but no announcement , no concrete illuminating evidence was brought forth by Japanese officials. It seems now that they can no longer hold back the truth from those who are desperate to know what to do next. There is clear evidence of meltdown, clear evidence of nuclear fallout beyond the radius of quarantine. There is now data showing radioactive hot spots up to 500km in distance from the nuclear power plant itself. 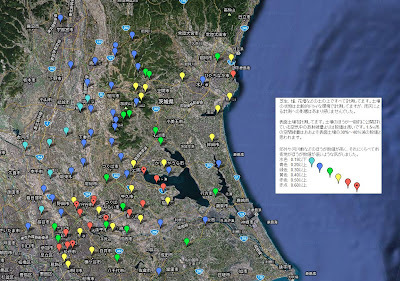 These areas are showing numbers in some cases even higher than areas within Fukushima. Now the government is spilling the truth and telling how much radiation was emitted and when it actually determined a meltdown which was March 20 almost two months ago. In that time thousands of times the permissable (safe) limit of airborn radiation particules have been spewed from the reactors contaminating the entire region, all the while the average citizen tried to get back to somewhat of a normal life after the devastating earthquake or began to attempt to rebuild their life and town after the tsunami. Many Japanese people were concerned about the crisis in Fukushima and anxiously awaited information and guidance. However, they only received vague commentary and misinformation, half-truths, even out-right lies from government officials; Kan, Edano, and others on the safety comittee. The government gives the excuse for itself that it did not want to create panic or breed rumors that would hurt the economy or lives of its citizens. Yet it put millions at risk with its actions, consequences that may not come to fruitition till years later when they have left office and retired away from the public eye. They clearly neglected the health and safety of their citizens. Looking at the real numbers and data can be extremely confusing and frightening for many, but knowing the gravity of the situation will help many make the daily decisions they need to, to stay healthy and prevent exposure. Breaking down the measurements we have two types that are used to measure radiation. Sievert-the measurement used most often, the amount of radiation absorbed, or that is in an object. Becquerel- the measurement used to describe the magnitude of the release of radiation, or the amount of radiation emitted by an object. 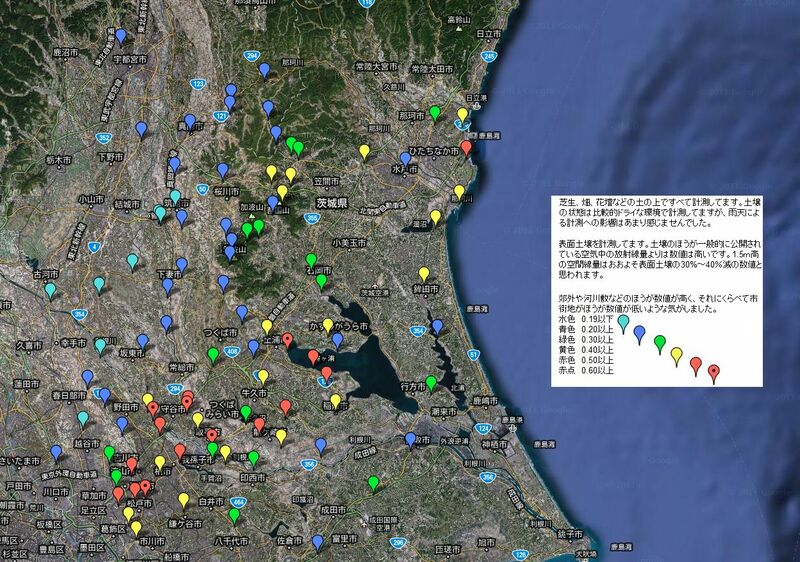 A map showing hot spot area in northern Chiba over 200km from Fukushima, as well as Ibaraki. Blue is weakest and Red the highest. So currently in Japan we are now seeing many hotspots continueing to absorb 0.5 micro sieverts per hour or higher. In a day that means soil and vegetation can absorb up to 12micro sieverts. If left unchecked this can continue to pile up to 4mSv in a year which is four times higher than most international safety standards for a public area or facility. Now most of this radiation can easily be passed on to children and adults through playing at the park, at school, or can be ingested by eating animals who graze on radioactive grass and so on. This radiation exposure is internal and is technically referred to as a "dose". The average dose for Americans is 3.0m Sv/year. The average in Japan may go a lot higher if current levels stay the same and most likely will since the situation now has been declared a "meltdown"
It is true that some internal radiation can be lowered by diet and other measures but children and infants stand to suffer the most from the situation. Their bodies still being in the stage of growth and development, radiation will damage the body cells` reproductive function, thus leading to various forms of organ problems, cancers ,and many other health problems. The Tohoku and Kanto region now stand to become a "Mecca" for research on radiation for the next number of years. Once the situation further stabilizes, I have no doubt that the international community of scientists will descend upon Japan leaving many Japanese, as I have read, feeling like "lab rats." I only hope that the next couple months begin to provide people with answers and solutions, ways to cope, and clarity for the road ahead. Japan can`t possibly evacuate its entire eastern area of millions of people, so many have no choice but to live through all of this. As if the earthquake and tsunami wasn`t enough already! What sad and terrible news! One can only hope that further loss and suffering for the Japanese people can somehow be prevented. God bless... With Jesus all things are possible. Gah! Well that just goes to show you, don't trust the government. That is very bad news. I had a hunch we were not being told the whole truth. Time to start thinking about the future.